For people who haven't dealt with unwanted fat, it sounds simple: eat better and go to the gym. The reality isn't so easy. Sure, you may be able to lose weight that way. Try as you might, though, your body is the one who decides where it takes that fat from, and it doesn't always come from our problem areas. The "double chin" is notorious for this problem. Call it genetic or call it bad luck, some people have unwanted fat under their chin no matter how healthy they are. In cases like these, chin liposuction is the way to go. How Does Chin Liposuction Work? In a nutshell, liposuction involves suctioning unwanted fat from a specific area. It's not an alternative for weight loss. Instead, it's meant to contour a specific area of the body. 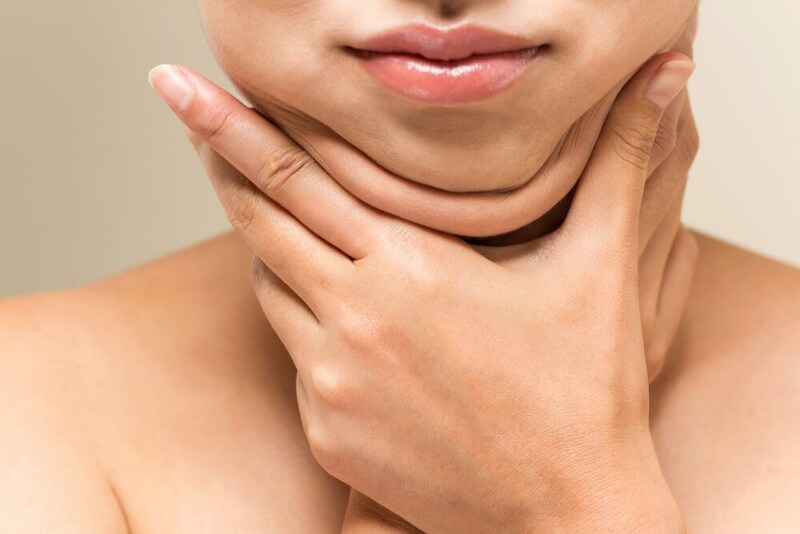 In this case, we treat patients who have stubborn fat under their chin, creating a "double chin." What Happens During a Chin Liposuction Procedure? Our plastic surgeons perform liposuction under general anesthesia. The procedure begins with a few small incisions around the bottom of the chin. The incisions are only a few millimeters around, so scarring is minimal. Through these incisions, our plastic surgeons use a tool called a cannula: a narrow tube attached to suction. The tube breaks up fatty tissue under the chin allowing our surgeons to suction our the unwanted fat. This allows us to sculpt the slimmer, youthful contours you want. In some patients, we use a technique called tumescent liposuction, also known as "super wet liposuction." Before we start the actual procedure, we inject the treatment area with a large amount of a specialized solution. This solution includes an anesthetic to make your recovery more comfortable. It also constricts the nearby blood vessels to reduce bleeding during the procedure. After our surgeons have finished removing the fat as desired, we seal the incision and bandage your chin. You may receive a compression garment to wear during your recovery to keep swelling to a minimum. What Can I Expect During My Chin Liposuction Recovery? Every patient's body heals in its own way, so your recovery may differ in some ways from other patients. For most patients, however, chin liposuction offers a rather easy recovery period. You can expect to have bruising and swelling for the first week or two after surgery. Most patients can return to work within a week. However, this depends on your comfort level, your procedure's details, your job, and other factors. After a few weeks, you may be able to ease into light exercise. You can work up to more strenuous exercise little by little. Because each patient is unique, talk to your plastic surgeon before you start exercising after surgery. Most of your results will be visible when your initial swelling and bruising fades. Keep in mind, however, that it can take several months for all the swelling to resolve. How Do I Know if I'm a Candidate for Chin Liposuction in Long Island? It's important to recognize whether excess skin or excess fat is the problem under your chin. While stubborn fat is common under the chin, so is sagging skin. This tends to be a problem for people who are aging or those who have lost a great deal of weight. If sagging skin is the problem, a neck lift is the better option. Much like a face like, a neck lift removes excess sagging skin. During the procedure, we will also reposition the underlying tissue and lift the remaining skin to a more youthful shape. The only way to know for certain whether you're a candidate for chin liposuction is with an in-person consultation. Our board-certified plastic surgeons will evaluate your chin and determine the best way to give you the results you want. In some cases, the answer is a combination of a neck lift and chin liposuction. What's the Difference Between Chin Liposuction and Non-Surgical Fat Reduction Under the Chin? In recent years, medical researchers have developed non-surgical ways to reduce fat under the chin. One of the most popular choices is Kybella, an injectable fat reduction treatment. Kybella is made from a natural acid that our bodies use to break down dietary fat. Our surgeons inject Kybella into the targeted area with precision. When it's used correctly, Kybella breaks down a percentage of the fat in this area. After Kybella has broken down these fat cells, your body removes them over time. We offer both Kybella and chin liposuction at our plastic surgery office. There are pros and cons to both. Kybella is non-surgical, which appeals to many patients for convenience and budgetary reasons. However, it doesn't allow our surgeons to sculpt your results, as well as liposuction, does. With liposuction, our experienced and skilled surgeons can offer more precise results. Of course, because it's a surgery, there is recovery time to consider. Deciding between Kybella or chin liposuction involves a variety of factors. During a consultation, our surgeons will be able to determine which one(s) you're a candidate for. We'll also be able to walk you through the pros and cons as they relate to your specific needs. Liposuction has been giving patients better physiques for decades. In fact, surgeons performed over 304,000 liposuction surgeries last year in the US alone. If you're ready to join their ranks, you've already taken the first step: getting informed. The next step is scheduling a consultation with a board-certified plastic surgeon. At your consultation, you'll be able to ask specific questions and find out if you're a candidate. Your surgeon will also give you pre-surgical and post-surgical instructions to help you get the best possible result. If you're ready to take that next step, schedule a plastic surgery consultation with our team today.